At Pont, we develop and patent bespoke packaging solutions in glass or plastics for applications in the Food & Beverage, Vitamins & Sport nutrition, Chemical, OTC / Pharma, Personal care and Pet care markets. We constantly listen to our customer’s views on the dynamics and demands of their markets. This has enabled us to acquire extensive, industry specific knowledge and experience which helps us to fully understand and address all your glass and plastic packaging requirements. Our experienced teams would be pleased to advise on the best choice of containers and closure system for your products. Pont can help you to create your own packaging, whether it’s a glass or plastic solution . Based on a study of your needs, our technical development team can take you through each stage of your packaging solution’s progress. At Pont, we understand that your role is to focus on business growth. That’s why we can take care of your stock management and deliveries. Thanks to our local warehousing, we can ensure an efficient delivery service based on your needs and production planning. We operate capping and repacking services from bulk pallets down to shrink wrapped cartons as per customers’ requirements. If you’re short of space, we can offer stock holding on a contract basis so that you can take smaller regular deliveries spreading the cost and allowing you to invest in other parts of the business. 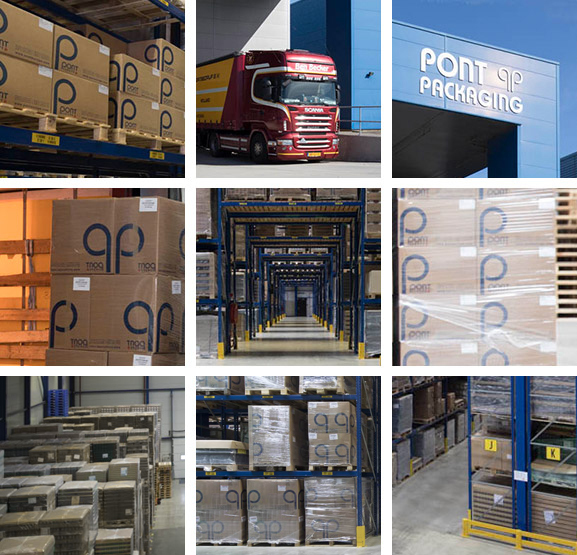 Pont aims to be your global partner in logistics, offering more than just packaging solutions.